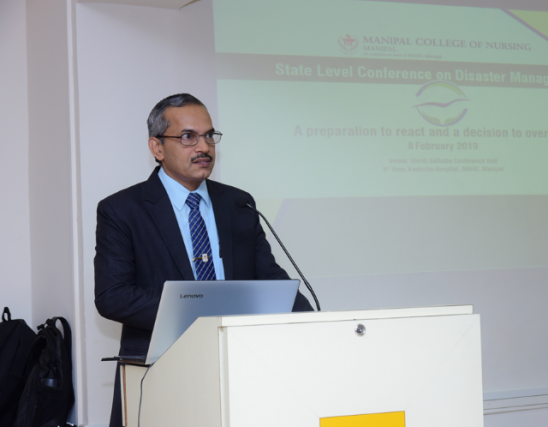 Manipal : State level Conference on “Disaster Management: A preparation to react and a decision to overcome” was organized by the first year M.Sc. 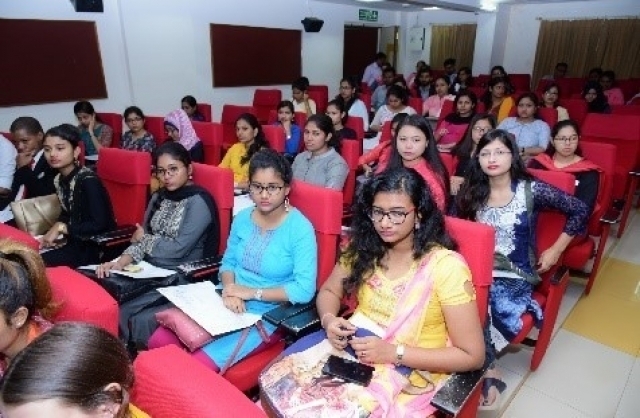 Nursing students of Manipal College of Nursing, MAHE, Manipal on Friday at Shirdi Sai Baba Conference Hall, Kasturba Hospital, Manipal. 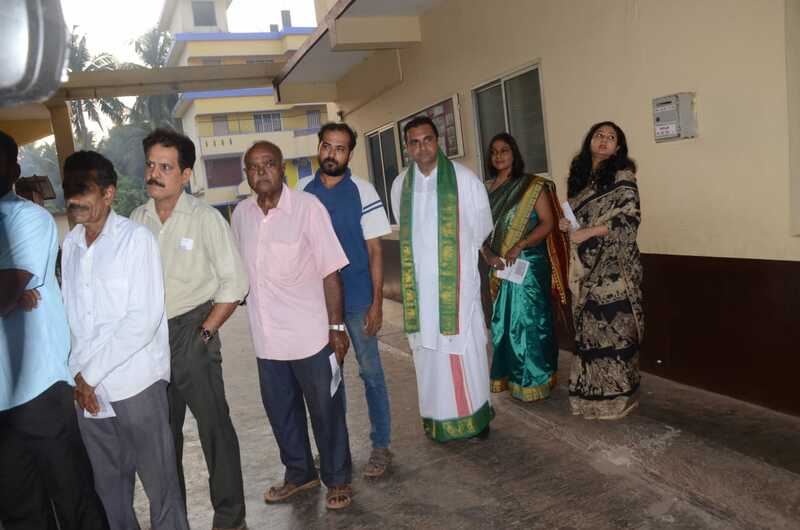 Dr. Narayana Sabhahit, Registrar, MAHE was the Chief Guest. Dr Binil V, Assistant Professor, Department of Mental Health Nursing was the faculty convenor of the conference. 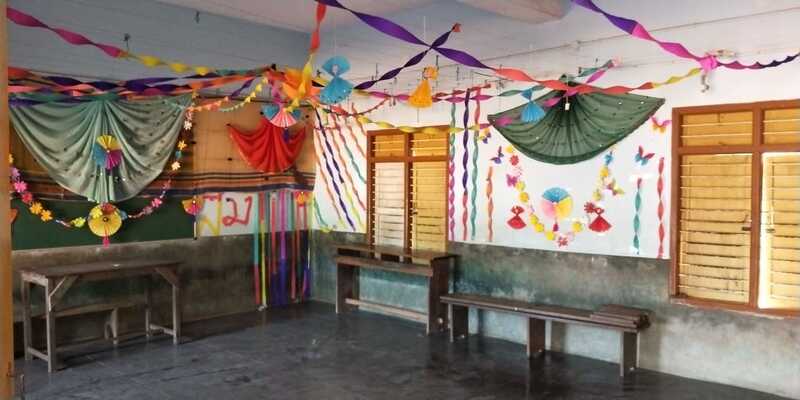 The conference was held to sensitize interdisciplinary teams on the awarenessof disaster management, to be prepared to face unexpected disasters and to plan and implement various training programmes to deal with various types of disasters. Over150 delegates from the state and other states took part.Students from different disciplines participated in the conference. There were deliberations on Casuality Response and Onsite Mass Casuality Management, and Psychological First Aid and Psycho-Social Care by Dr Shirdi Prasad Tekur, Hospital Mass Casuality Management by Dr. Kiran K.V Acharya, Public Health Emergency by Dr. S. Pruthvish, Mitigation and Preparedness and Emergency Relief Operations by Mr. Prabhath Kalkura M, Disaster Inter-professional Competency by Dr Shashidara, Y.N, and Ethics in Disaster Management by Mr. Amit S Upadhye .